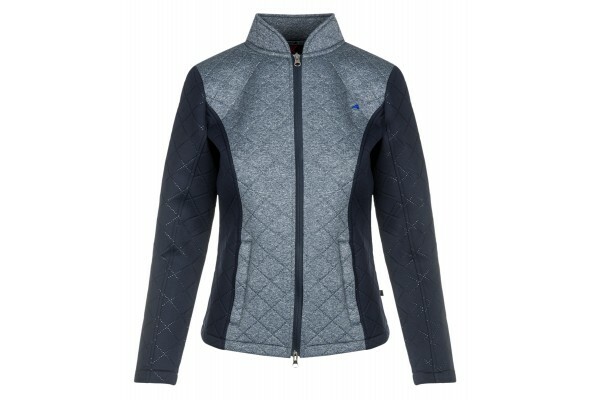 Gorgeous technical sweat jacket, perfect for use under a coat in the winter or as a light jacket in spring or summer. Zip up pockets and stand up collar for a really sporty look. 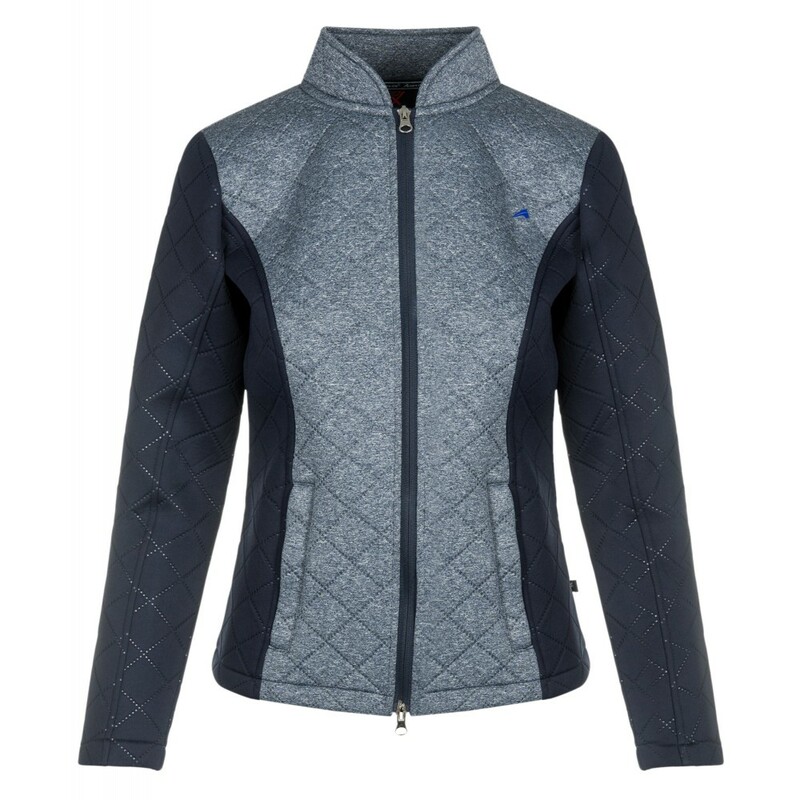 This jacket is so flattering, the lines of the two different colours are shaped to narrow the waist. This jacket is ideally fitted quite snugly to give this really flattering look.